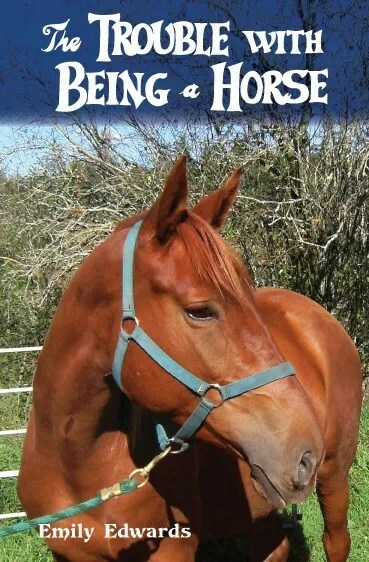 ﻿The Trouble with Being a Horse is a middle-grade fiction novel about a girl who turns into a horse. Olivia is outraged when her parents forbid her to ride and she wishes she could run away and be with horses forever. But after falling off her favorite horse, Olivia is shocked to find out she has mysteriously changed into a horse! As a girl in a horse’s body, Olivia must put her knowledge of horses to the test as she navigates this new and bizarre world. Struggling to communicate with both humans and horses, Olivia does her best to fit in. But when she can’t resist showing off how much she knows, her secret is in danger of being found out! MG BOOK TO GIVE AWAY.